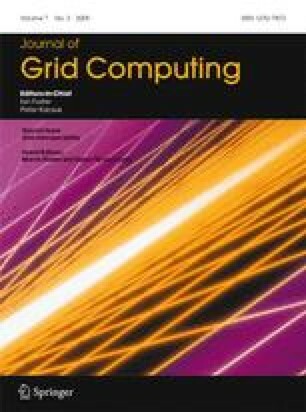 In many Grid infrastructures different kinds of information services are in use, which utilize different incompatible data structures and interfaces to encode and provide their data. Homogeneous monitoring of these infrastructures with the monitoring data being accessible everywhere independently of the middleware which provided it, is the basis for a consistent status reporting on the Grids’ resources and services. Thus, interoperability or interoperation between the different information services in a heterogeneous Grid infrastructure is required. Monitoring data must contain the identity of the affected Virtual Organization (VO) so that it can be related to the resources and services the VO has allocated to enable VO-specific information provision. This paper describes a distributed architecture for an interoperable information service, which combines data unification and categorization with policies for VO membership, VO resource management and data transformations. This service builds the basis for an integrated and interoperating monitoring of Grids, which provide their data to more than one VO and utilize heterogeneous information services. This work has been partly funded by the D-Grid Initiative of the German Federal Ministry of Education and Research (FKZ01IG07010A).